First line: It was the kind of August day that hinted at monsoons, and the year was 1774, though not for very much longer. 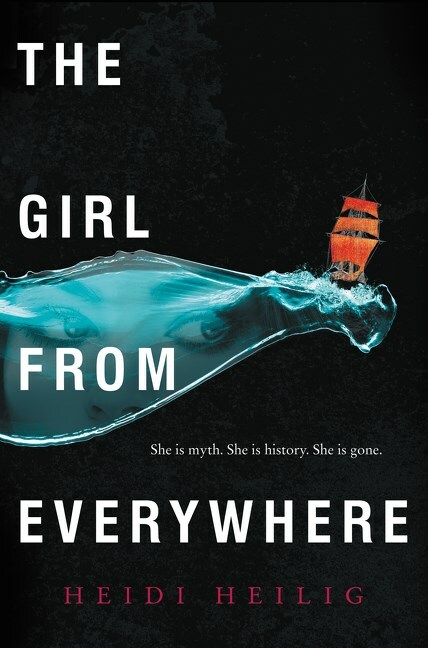 Review: I was pretty desperate to get my hands on this book as soon as I read the description: a young woman who time travels to both real and imaginary worlds with her father, a man consumed with the desire to return 1868 Hawaii just before her mother dies. This was probably the first book of 2016 that I just didn't want to put down; it was a combination of the intriguing premise, charming heroine, and unique setting that made it so compulsively readable for me. Nix was born in Honolulu in 1868; her mother Lin died while her father Slate was at sea. Slate, born in the 1980s, has the unique ability to travel to any time or place if he has a hand drawn map of that location. With this skill, he's managed to assemble a ragtag crew who travel with him. They make money in their travels but Slate's obsession is with returning to Honolulu in time to prevent Lin's death -- an event Nix fears might erase her existence. What complicates things is that maps can only be used once, meaning Slate is consumed with trying to find an authentic map of Honolulu penned at just the right time. For years, their attempts have been fruitless, until one perfect map falls into their hands...and embroils them in something with devastating result. At the heart of this story, despite the flash bang of time travel and cool historical ambiance, is the push-pull tension between Nix and her father. 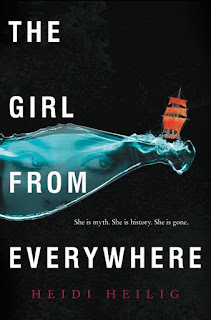 In my experience, YA is full of heroines with absentee and/or appalling parents, and Slate falls into the latter category; delightfully, however, he doesn't get off the hook for his behavior and he's no mere foil for our YA heroine to get into mischief. His struggles with addiction and his love for Lin force us to consider the limits we'd go for the things we want. Nix has to grow up before her time and yet she's still a young woman who wants desperately to be valued and loved, too -- sentiments I can still appreciate. This is the first in a duology, I believe (and based on upcoming releases, it seems like duologies are the new trilogies, le sigh) but there's enough conclusion that this can be read as a satisfying standalone. But I loved this one and am very happy there's another book detailing Nix's further adventures -- my only challenge will be in waiting for it! It's early to say, but I suspect this one will make my top ten of 2016: escapist, intriguing, empathetic, adventurous, and unique! Great review! I liked the book enough to give it four stars but for someone who is Hawaiian and grew up with Hawaiian culture and history, this book fell flat for me. Oh, that's too bad -- I appreciate you stopping by to share this tidbit. The Hawaiian setting was a huge draw for me as I feel like it's not a locale seen often in historical fiction -- bummer it didn't feel real for a native like you! This sounds fantastic and I love that cover. I cannot WAIT to read this book. I love ragtag crews and time traveling! And hijinx!